Here at Dwell Residential we’ve found a special way to say “Thank You” to our most loyal clients. How does saving thousands of dollars through our loyalty program sound to you?! It’s so simple with no hidden fine print … we promise. This program gives us a chance to show our appreciation for your trust in us and how much we love working with you. To us, it’s all about making our clients happy with their entire experience when selling their home. Repeat clients. If we’ve sold or helped you buy a home in the past, then you’re in. First-time clients that both buy and sell with us at the same time. If you’re a new client, let us help you sell your current home and look for the next one. What are your savings? Half-price reduction on Dwell Residential’s listing side of the commission – so it’s only 1.5% of the home’s sales price compared to the typical 3%. Here’s an example of the savings you’ll reap when you get our 1.5% listing agent’s commission. The buyer’s agent usually gets an additional 3%. You still have to pay the buyer’s agent and some title fees that are not included in the chart above, but your savings for being a loyal Dwell Residential client are huge. How can we reduce fees and still give you the same great service? It’s easier the second time around. If we found the right home for you the first time, it usually means it’s easier for us to sell it when the time comes. We made sure you found a great home and not a dud so we KNOW we can sell it! Client-focused from beginning to end. We want to do everything in our power to help you find your next home. And, if reducing your costs makes it possible for you to get into that next home, than we want to help make it happen. Pass the savings on to you. We can still provide our full-service sales strategy because we don’t have to spend time and money searching or advertising for new clients. Instead, we pass those savings on to you. 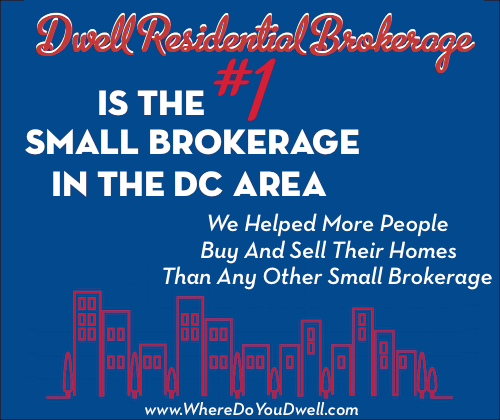 You’ll still get our valued expertise, effective marketing strategies, and commitment to making sure you sell your home with little frustration and for the most profit possible. Network of happy homeowners. Our hard work over the years has created a network of happy homeowners who return to us for their next home (and next) and also recommend us to their friends and family. We look at ourselves as real estate agents for life. This all allows us to focus our time and any savings onto you, our loyal clients! Want to know more? Just fill out the form below and we’ll get in touch with you! I’m Loyal, Save Me Money!